ARO Construction undertake kitchen refurbishments throughout Solihull, Birmingham and the surrounding areas, we offer customers a supply and fit or fitting only service that is aimed to cause as little disruption to your life as possible with a typical kitchen installation project usually completed in 2 weeks depending on the size. Our team of highly skilled tradesmen will ensure that your new kitchen installation is finished to exactly what you dreamed of and that you will simply love. As well as providing new kitchen installations in Solihull and Birmingham we can also provide customers with kitchen extensions, we can guide you through all the stages from planning, all the way to completion. Also we can help advise you with planning applications and building regulations. Having a well planned layout decided with the choice of materials will help ensure that your new kitchen installation not only has that fantastic wow factor, but will also offer the practicality and functionality you will also want. ARO Construction has over the years built a solid relationship with kitchen suppliers allowing us to offer our customers fantastic value on vast range of high quality fixtures and fittings. 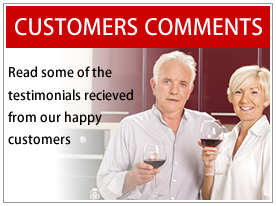 Our team's main aim is to ensure that our customers are completely happy, and we will go above and beyond to find any product required for giving your new kitchen installation that perfect finish you are wanting to achieve. Having a new kitchen installation in Solihull and Birmingham will certainly increase the value of your property and is an important factor that home buyers will take into account along with bathrooms when looking at buying a property. 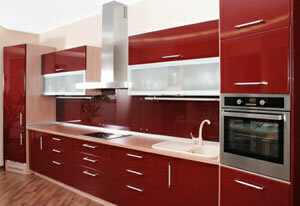 Having your new kitchen finished to a high standard will certainly be a worthwhile investment.